“No Further Evaluation Guarantee” ensures no follow-up inspections will be needed. Our A-Pro Salt Lake City home inspectors can tell you if a problem exist or not. They will not pass the buck. Buyers Beware? 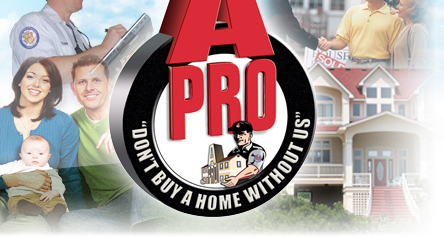 Not with a A-Pro “CHI” certified Salt Lake City Home Inspectors! Any questions at all, just call our Salt Lake City home inspectors now at 1-801-210-8220!